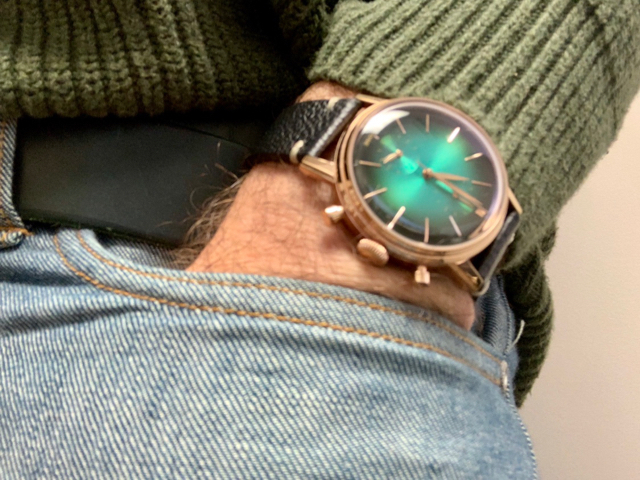 Old quartz seiko with a green suede strap. Really loving non brown/black leather these days. 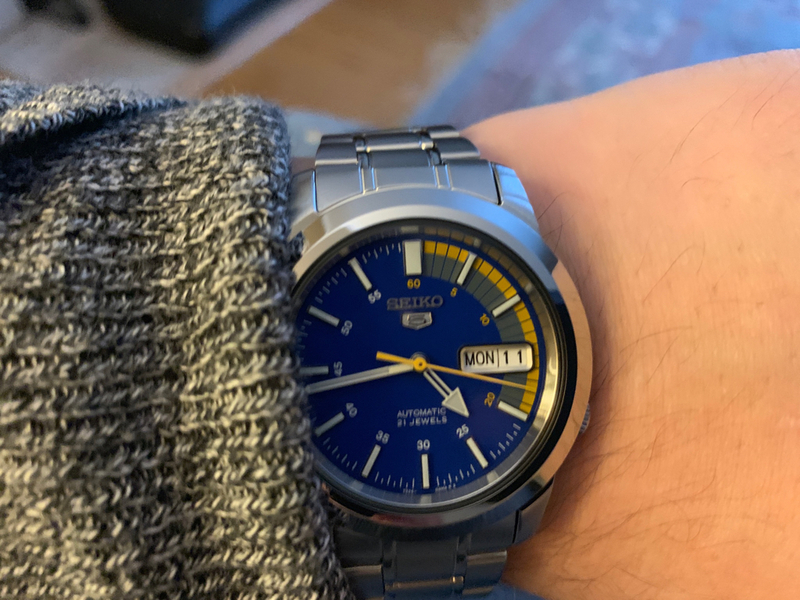 I've owned that watch twice, once with a silver case and once with the PVD case. And I had to sell it each time because it was just too darn big on my wrist. 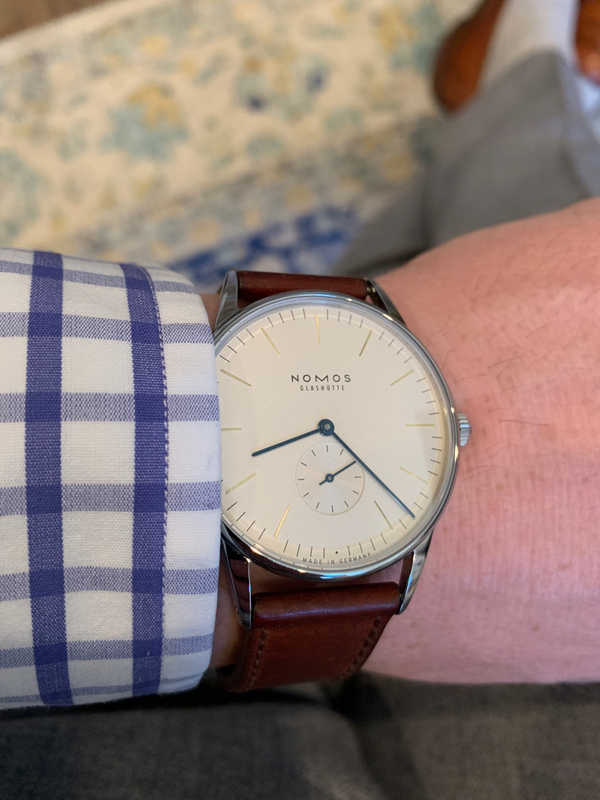 Awesome watch if your wrist is large enough to wear it. 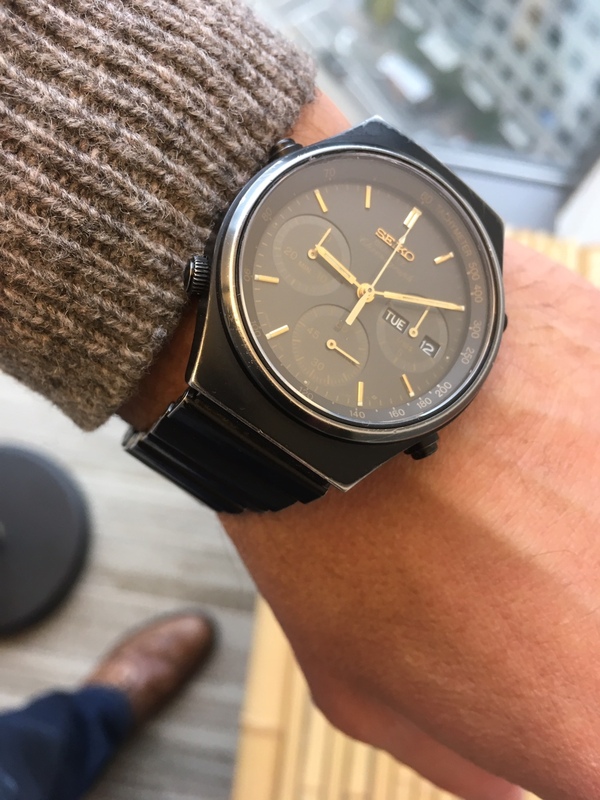 Great lume, reliable Seiko movement, chronograph, classic field watch looks. 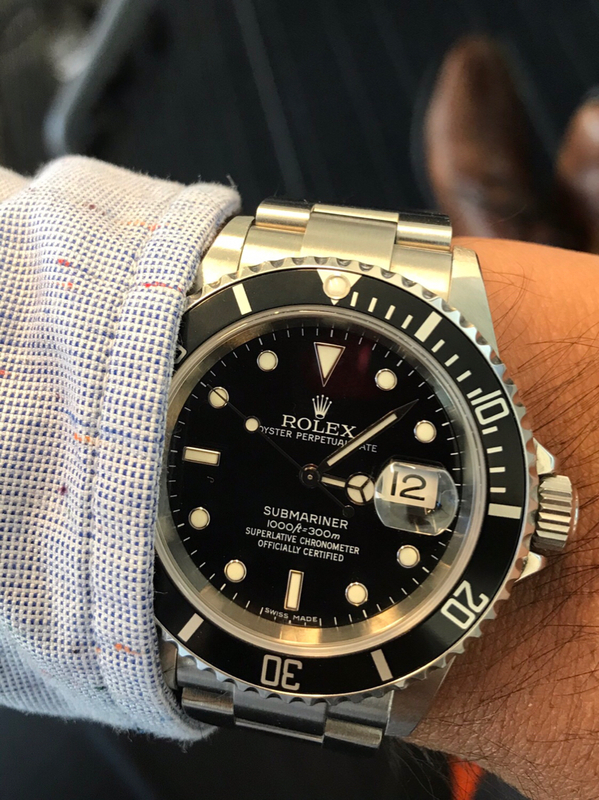 I just need to find something similar in a 40mm size. Seattle got hit with a big snow storm this week. I was fortunate enough to have the afternoon off, so I took a stroll around the neighborhood before it got dark. 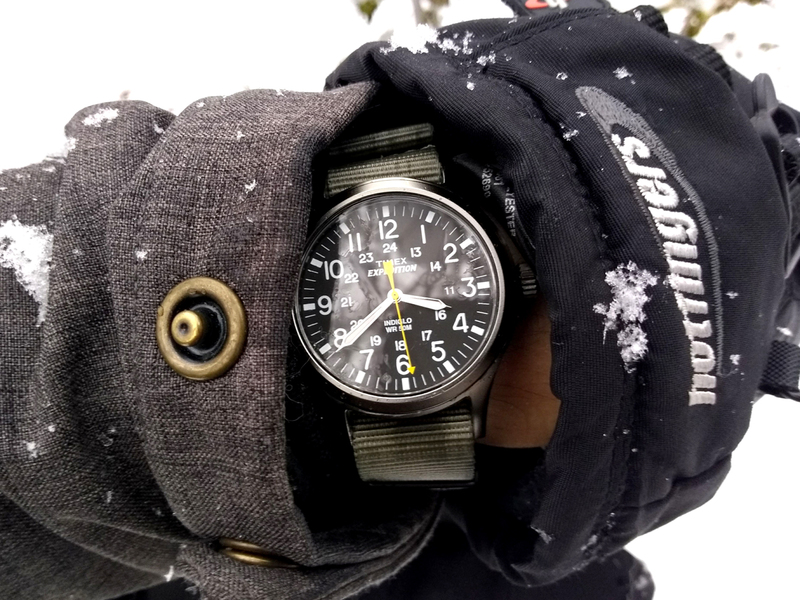 The Timex seemed like a good choice for this sort of outing. Yeah it's a honker compared to most, i'm lucky i have big hands and forearms otherwise it wouldn't work. 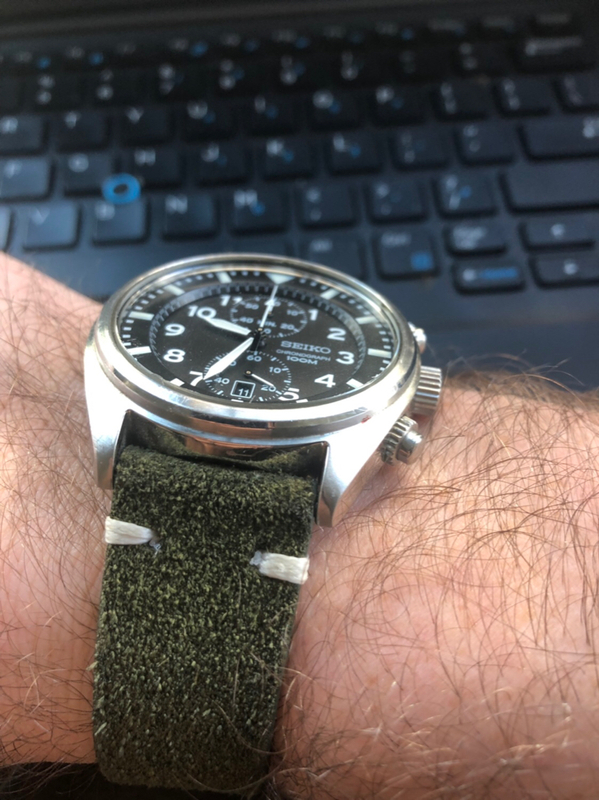 I usually shy away from it because i don't like that elevated second level where the notches are, but something about the strap has me wearing it daily right now. Green on green on green today, including the Gustin “treat yo’self” green Látigo belt.